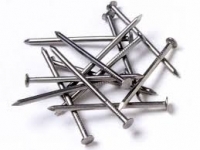 These Galvanised nails are the ideal size for nailing your supers together. They will not rust, and in timber treated with Copper Naphthenate, they will not corrode. 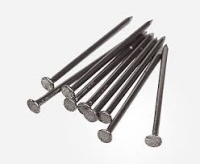 Frame nails must be thin (1.4mm) to avoid cracking the pine frame. If you do not have a staple gun, these are the right size for nailing your frames. 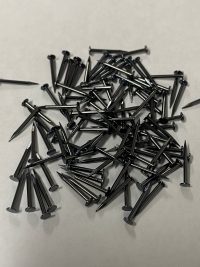 These nails are used to assemble the frames. We recommend one down into the top and bottom bar, and one through the side of the end bar into the top bar. This stops the top bar coming out when lifting the frames full of honey. When wiring frames, these tacks secure the wire. Selected to be just the right length and, more importantly, thin enough not to crack the timber. Galvanised Screws 8 Guage 51 mm long for screwing Supers together. 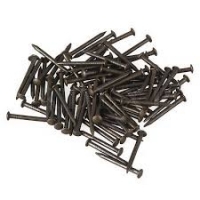 Price is for pack of 50 Screws. 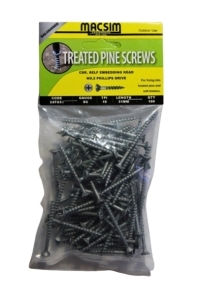 Price is for pack of 100 Screws.